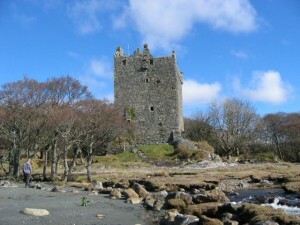 Welcome to the Isle of Mull Scotland. 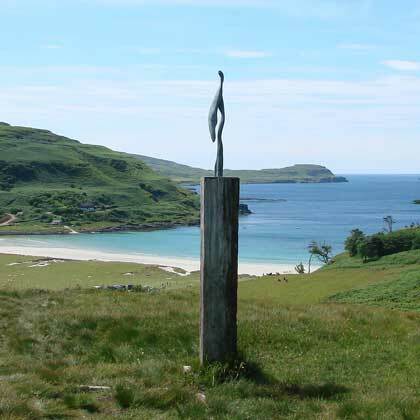 The Isle of Mull and the neighbouring Island of Iona lie just off the west coast of Scotland, in the United Kingdom. 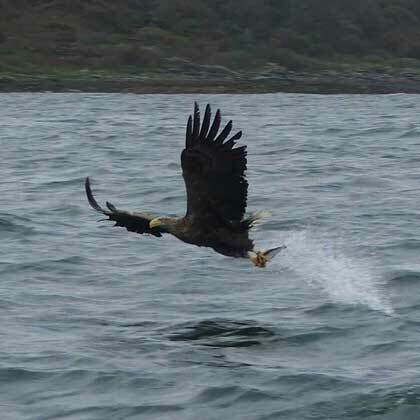 The Isle of Mull has become well known by all who view the BBC programmes Springwatch and Coast. The presenter Gordon Buchanan is from Mull and still has family and a house here. 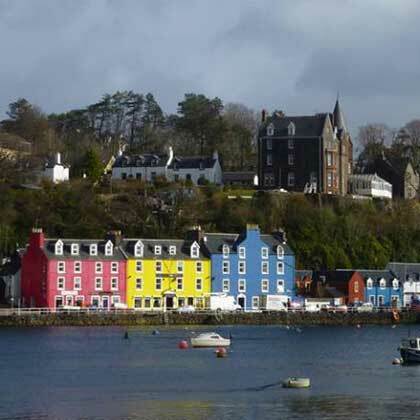 Mull is also now very well known as the home of the CBeebies programme Balamory, based around the coloured houses of Tobermory. 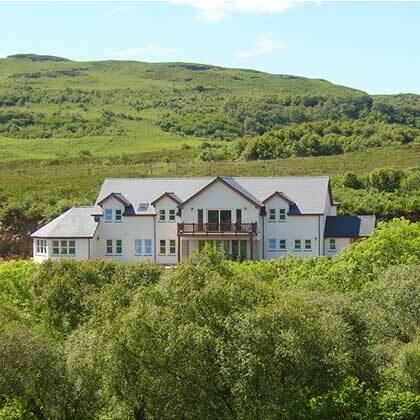 The Isle of Mull has attractions for all the family, and offers a holiday where wildlife is around every corner, visitor attractions cater for all ages, and the whole family has a chance to live a lifestyle far removed from the hectic urban pressurised existence. 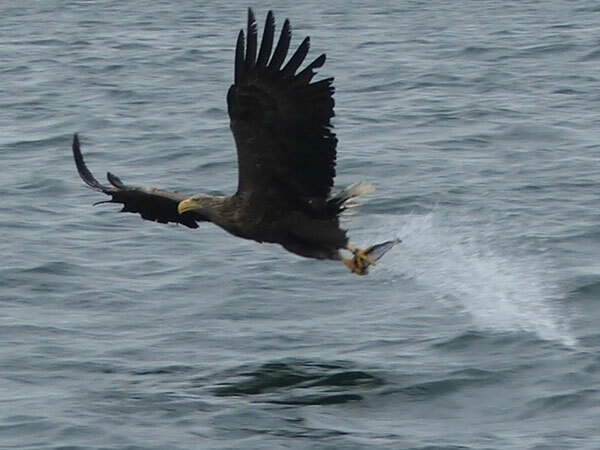 For detailed information on the White-tailed Sea Eagles on the Isle of Mull click here to go to the excellent website. 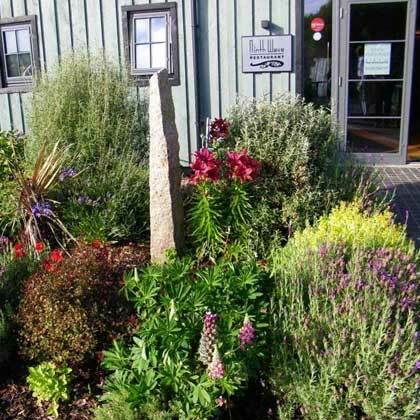 The Isle of Mull accommodation is generally of a good standard and plentiful, however, during the school holiday periods in July and August it is recommended to book in advance. Ferries cross to the island at three points: Oban, Lochaline and Kilchoan. 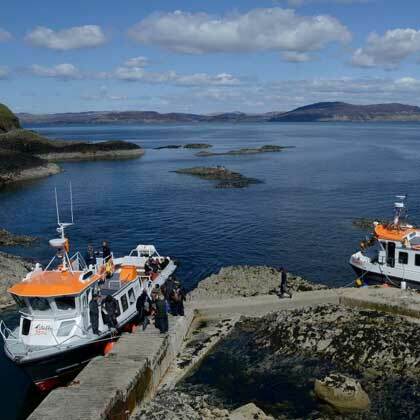 Booking is required during busy summer months on the Oban ferry, however, the other two are not possible to book, and places are normally available when required. 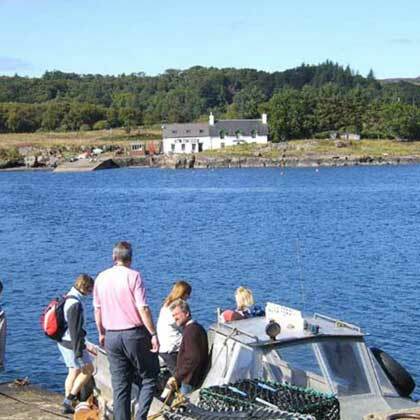 The Lochaline crossing is a cheaper option and is used regularly by locals. Click here to go to the more detailed travel information page. From Oban, on the mainland, where many visitors arrive on their way to the Isle of Mull and Iona, the seaward view is dominated by the rocky peaks and green slopes of the Mull mountains. 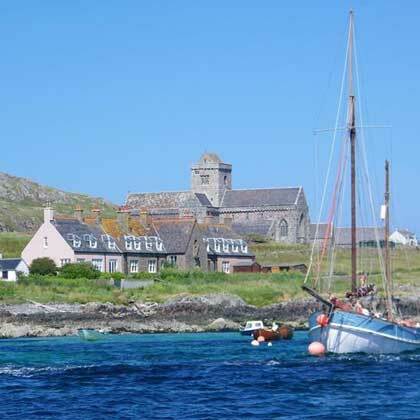 According to your interests, the islands of Mull and Iona can be a wilderness awaiting discovery, a haven of peace and relaxation or simply a charming and beautiful centre for a Highland holiday away from the cares and pressures of modern life. Besides the range of popular Mull and Iona websites, we have composed a range of other website for places of interest, ranging from a nest of Western Isles sites, for the Isle of Lewis, Harris, North Uist, South Uist, Benbecula, and Barra. Further afield we have produced websites for Inverness, Hobart in Tasmania and Almaty in Kazakhstan. 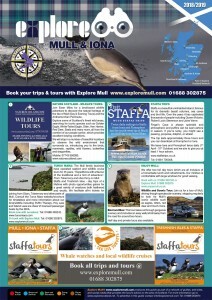 Explore mull and Iona guide 2017-18.